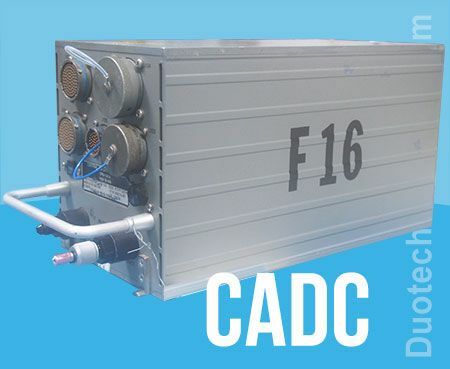 The Central Air Data Computer, or CADC, performs digital air data computations and transmits that data with regular updates to other aircraft systems to control the moving surfaces. It receives information from a wide variety of sensors and systems, including pressure transducers, temperature sensors, gyroscopes, and accelerometers. CADCs are critical for safe, effective flight operations for nearly all modern aircraft. Duotech repair capabilities include a wide range of CADCs for several different aircraft, delivering under budget and within deadlines.